A fish finder is a simple gadget used to locate and track the location of fish in the water. It scans through the murky waters and pinpoints the location of each fish relative to your location. It can give you information about the temperature and depth of the water. There are many fishfinder brands, models, and types on the market. Finding the best one can be quite a challenge. To assist you to overcome this challenge, I have reviewed the best cheap finders available on the market. With this review, I believe you will be in a position to get the right choice for your fishing needs. 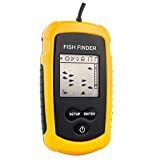 Best cheap fish finders – what to look for? A fish finder is an excellent tool that enhances one’s fishing experience. It enables you to catch more fish than you could have done without it. This is the part that sends the sound waves to the water surface to show you what is underneath. It sends a sonar signal that bounces off the objects in the water and brings back the details to the transducer. This information is visible in a picture on the display. The most important feature to look out for in a transducer is the cone angle. There are three types of frequencies you will be required to choose from. These are single, dual and multiple frequencies. Frequencies of between 50 and 100 KHz are ideal for fishing in deep waters while high frequencies are ideal for shallow waters. Knowing your fishing area can, therefore, help you choose the frequency that works well for you. How the fish finder is powered is generally referred to as wattage. For a faster response time for your fish finder, you will require more wattage. Fishing in shallow water doesn’t require high wattage. A combination of frequency and wattage will give you a clear picture of what is under the surface. A higher resolution gives more details just the same way the TV and computer screens work. 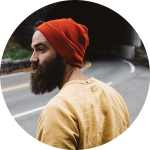 A resolution of 240 by 160 pixels may be good for sight. A higher resolution may be required to minimize blockiness of details displayed on the screen. For clarity of picture, you will need to balance between resolution and size of the screen. Both portable and fixed units of the fish finders are available on the market. The fixed unit will need to be mounted somewhere on your watercraft. The portable unit is a better choice especially if you are leasing a fishing boat. This is a portable pocket-sized fish finder that works with both Android and iOS devices. It’s the lightest and smallest sonar depth finder available on the market. Using sonar technology, this finder gives accurate information about the depths, bottom contours, structures, and fish. 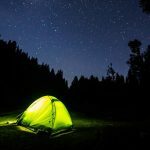 Its size and weight make it a perfect gadget for hiking, canoeing, camping, and kayaking. 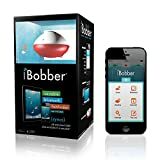 The iBobber Smart Fish Finder comes with a free app that can be synchronized via Bluetooth for up to depths of 100 feet. This enables you to map waterbeds, long water depth, and temps, mark spots, species, add lures and photo on the trip log. For ice and night fishing, there is a LED beacon together with the strike and fish alarms to assist you. Its high contrast design makes it possible to see even in bright outdoor lighting. The app also has an anti-glare setting that helps you to see clearly. The battery life is about 10 hours and there is a charge status indicator to help you monitor the remaining power. This is a portable fish finder designed for both professional and amateur fishermen. It uses sonar technology to accurately locate the best fishing spots. From oceans to rivers, this finder works in all types of water bodies. It comes with a high tech display of 2.4” TFT screen. This LCD Sunlight Display is able to show up to 512 colors and has a front white LED light for dawn trips. Its sonar detector uses sound waves to identify big/small fish, show their depth and display bottom contours. It also gives an indication of the water temperature. Its operation is quite simple and gives you the freedom to choose between the feet and meter units. 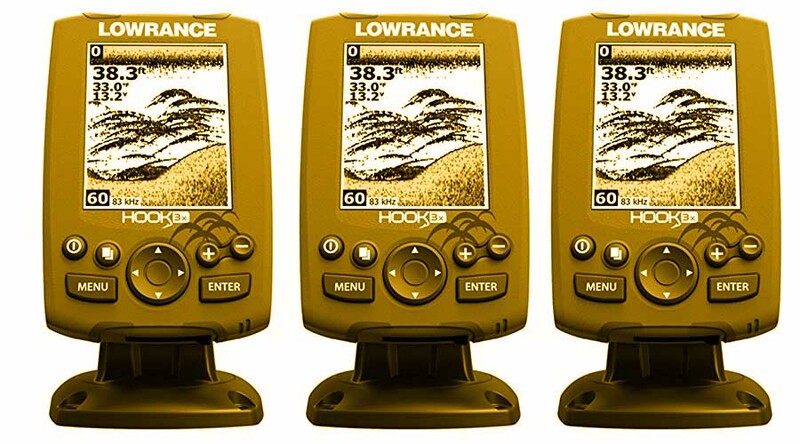 The Lowrance Hook-3X is a simple fish finder that features a DownScan sonar. Since it’s a small unit, you shouldn’t expect many navigation functions to come with this unit. It, however, comes with a number of features that will make your fishing experience enjoyable. One such feature is the 3.5 inches LED-backlit color display. This display is easy to see even in full sunlight. The other feature is the broadband sounder which can be used to easily identify thermoclines, fish targets, structure detail, bottom contour and bottom hardness. The finder comes with a dual frequency of 83 and 200 kHz to maximize the view under the boat. The 83 kHz sonar operation enables a wider search of the area and display of larger fish species. The 200 kHz frequency enhances the fish-target separation due to smaller conical angle. Its patented transducer has a built-in temperature sensor and can track the bottom at speeds of up to 75 mph. An Advanced Signal Processing feature minimizes the need to adjust settings manually. The Pages button feature, on the other hand, allows the user to switch quickly between 83 and 200 kHz frequency views. 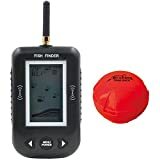 This is a portable and wireless fish finder that comes with a highly sensitive sonar technology. It’s a perfect tool that can be used by both amateurs and professionals in finding and locating fish. This finder gives you a clear view of the underwater with its 2.8 inches sun-visible LCD display. There is also a backlight LED setup for use at night or under low light conditions. It has two small holes for tying the thread and casting into the water. The wireless sensor switches on automatically immediately the pin terminals touch the water. The results are sent back to the mainframe receiver. The 2.4 GHz radio frequency enables communication even when the sonar is up to 260 feet below the water. An audible alarm is the other feature that will allow you enjoy the fishing fun. Its 10-degree sensitivity allows more flexibility of selection depending on the fishing environment. The sensor is waterproof and hence can be safely submerged in the water. The sonar beam angle is 90 degrees whereas its frequency is 125 KHz. 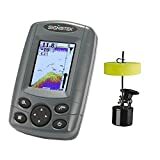 As far as price is concerned, the Venterior Portable Fish Finder is the most affordable unit one will get on the market. This is a bare-bones device that comes with one sensor beam angle and an LCD screen of modest resolution. It’s a unit designed for fishing enthusiasts and can be used in lakes, sea or rivers. In addition to fish location, this finder also detects the size of fish in both salt and freshwater bodies. 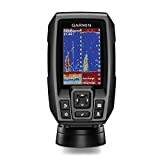 This fish finder has a number of essential features that support your fishing activities. To start with this unit is rechargeable (both the sensor and the body can be recharged). It also has a high detection accuracy with up to 10 sensitivity levels. The temperature measurements can be displayed as either degree Celsius or degree Fahrenheit. The depth range coverage is wide and gives you an option to choose between manual and auto range selection. For depth capability, this unit is able to cover between 3 and 330 feet. 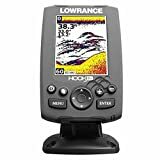 This is an all-new top of the line model from Lowrance. It’s a 4.3 inch easy to use color chart plotter that combines Down Scan Imaging and Broadband Sounder technology to give you Hybrid Dual Imaging properties. Most of its features are easily accessible and easy to operate. To begin with, the 4.3-inch display is super bright and has a powerful LED backlight for easy reading in bright conditions. The Hybrid Dual Imaging provides you two great technologies for the best possible views under the boat. The highly accurate GPS antenna is another built-in feature that will ensure you get detailed information on your plotter. The Advanced Signal Processing option minimizes the need to adjust settings manually in order to see fish, bottom and structure details more clearly. The TrackBack feature also helps you to review recorded data including waypoints. The box contains a mounting bracket, Elite-4 HDI, power cord and owner’s manual. This is a wireless and castable echo sounder. The device can be cast at any spot and still float on the water surface. It transmits detailed water column and bottom information directly to your tablet or smartphone. Some of the transmitted information includes depth, temperature, bottom structure, vegetation and fish location. With the Bluetooth connection, you will still be in touch with the device as long as it’s within 130 feet radius. The Deeper Smart works with the different styles of fishing. They include shore fishing, bank fishing, ice fishing, kayak fishing, boat fishing, river fishing and float tube fishing. It’s able to pick details as small as 3 inches at depths of up to 130 feet. It works in both fresh and saltwater conditions. The sonar beam works at a dual frequency of 90 and 290 kHz. 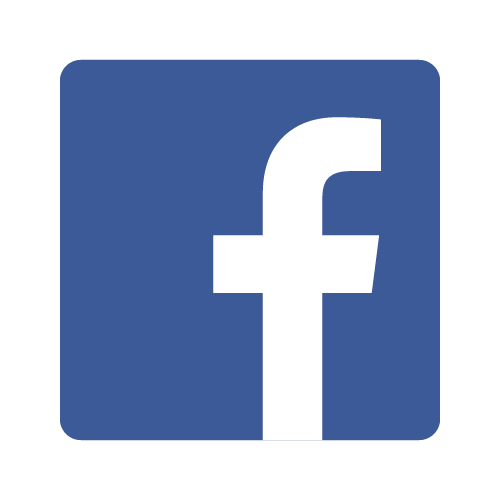 The app is compatible with both Android and iOS platforms. The Raymarine Dragonfly-4DV is a sonar device that gives you an unprecedented look at where you are. Its CHIRP DownVision technology makes the underwater view quite clear to enable you to catch more fish. The photo-like sonar images enable you easily identify fish and objects under water. Its 4.3-inch high definition LCD color screen is all weather and looks sharp from different angles. Also included is the LED-backlit display for clear viewing in different light conditions. The device has been optically bonded to give you sharp color and wide viewing angles. Its wide spectrum sonar technology enables high-speed tracking, photo-like images, and better resolution. The ball and socket tilt enables easier mounting on any surface. The CHIRP transducer comes with a transom mount and the temperature sensor. 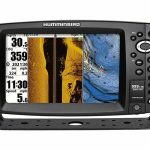 The Humminbird PiranhaMax 197C fish finder boasts of Down Imaging, fish alarms, Fish ID+, depth alarms and zoom features that enables you to view with clarity the details below the boat. It comes with an easy to use interface and functions that are simple, easy to see and clear. A tilt mount base is one of its great features. It has a depth capability of up to 320 feet for Down Imaging and up to 600 feet for Dual Beam. The shipping weight is about 2.5 pounds whereas its dimensions are 8 by 16 by 12.3 inches. This Garmin Striker 4 finder was introduced in the wake of the success achieved by the STRIKER series in the market. These devices come with ClearVü technology. They are designed to enable you to mark favorite fishing spots and navigate back to those spots easily. It’s available in various display sizes of 3.5 inches, 5 inches, and 7 inches. Striker 4 comes with a Garmin CHIRP transducer whose frequency is either 77 or 200 kHz. This transducer provides clear details about the structure and the fish. 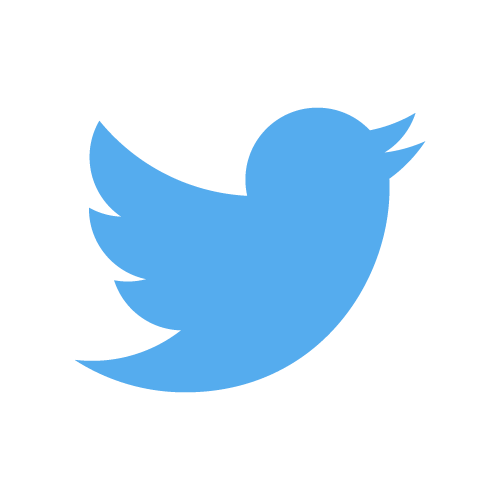 The CHIRP sends continuous frequency sweeps and interprets them individually once they are returned. Since these frequencies range from low to high, this technology gives greater separation details for the target. 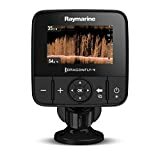 You even get a chance to upgrade to a high-performance CHIRP for crystal-clear sonar images and remarkable resolutions at both shallow and deeper depths.